One of the best reviewed films of the year is coming to Blu-ray in November! 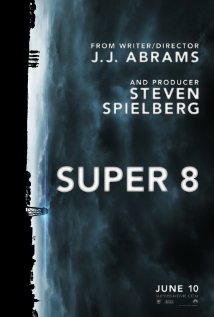 In an early announcement to retailers, Paramount has revealed 'Super 8' for a Blu-ray release on November 22. The Blu-ray will include 1080p video, a DTS-HD Master Audio 7.1 soundtrack, and supplements will include: Commentary by writer/director J.J. Abrams, producer Bryan Burk and cinematographer Larry Fong; The Dream Behind Super 8; and The Visitor Lives. Blu-ray exclusives include; The Search for New Faces; Meet Joel Courtney; Rediscovering Steel Town; Scoring Super 8; Do You Believe in Magic? ; The 8mm Revolution; Deconstructing the Train Crash; and Deleted Scenes. You can find the latest specs for 'Super 8' linked from our Blu-ray Release Schedule, where it's indexed under November 22.